redevelopment scheme for Birchwood Leisure Centre. Pre-App advice has already been taken into consideration and the scheme has been viewed favourably by Welwyn Hatfield Borough Council. Birchwood Planning Public Consultation dates will be announced in the near future. This scheme brings a much needed and long overdue refurbishment and extension to Birchwood Leisure Centre. 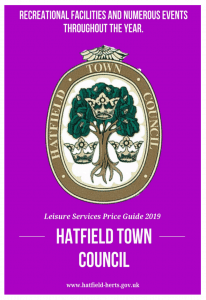 This means we can have a true community centre to incorporate a proper home to Hatfield Boxing Club, Hatfield Netball Clubs Juniors, a Martial Arts, Dance and Recording studios, meeting and function rooms. This will dovetail with the existing sporting offer, which also will include new catering facilities. This will certainly create a sporting hub to engage the whole community, especially involving and including ‘The Towns Youth’, who are our future. 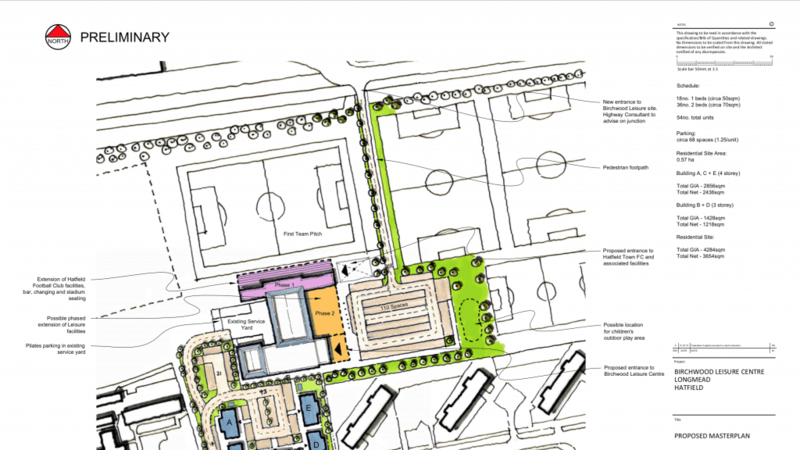 Birchwood Planning will bring Hatfield Town Football Club home. Allowing them to compete at a level a Town with a population of around 40,000, should be competing at. Football is our National Sport and we need to do more to encourage this. It has been 35 years since Hatfield Town F.C. last competed in its own ground, in its own town. And in their 133-year history, they have never played a floodlit game in Hatfield. The Herts Sports Partnership, The Football Association, The Football Foundation, England Netball and The Amateur Boxing Association are all committed to seeing this proposal come to fruition. They have all shared their wealth of experience and expertise to provide advice, encouragement and support.